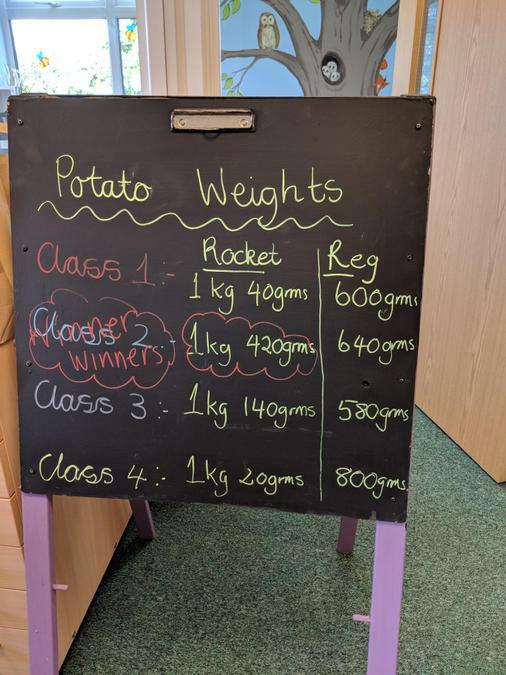 After taking part in planting potato plants in giant sacks some weeks ago, the time had arrived for each class to to tip out their sack and find out how many potatoes had grown in each sack and which class had managed to grow the most! 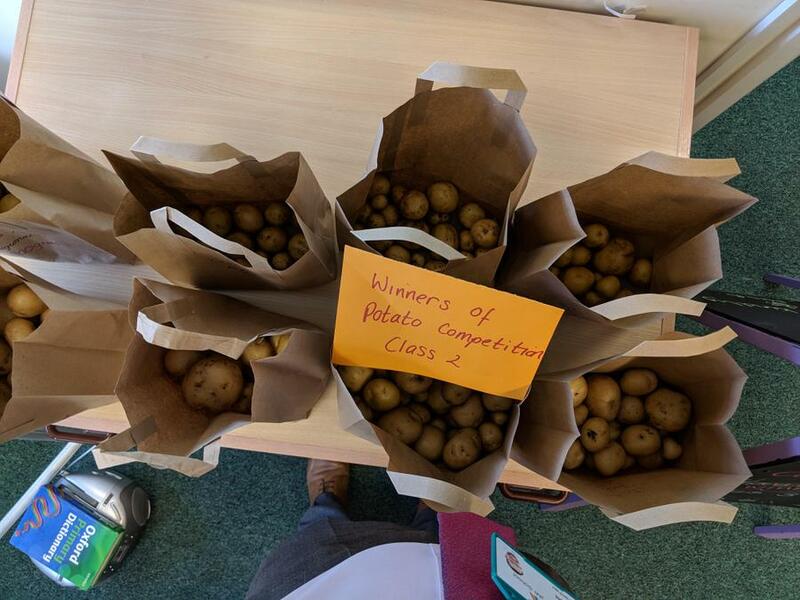 Congratulations went to Class 2 - but every child was a winner really, as Mrs Burningham (who had created and facilitated the entire experience from beginning to end for the children) roasted the freshly harvested potatoes for every child to try! Thank you Mrs B for providing such a rich learning experience for all of the children!